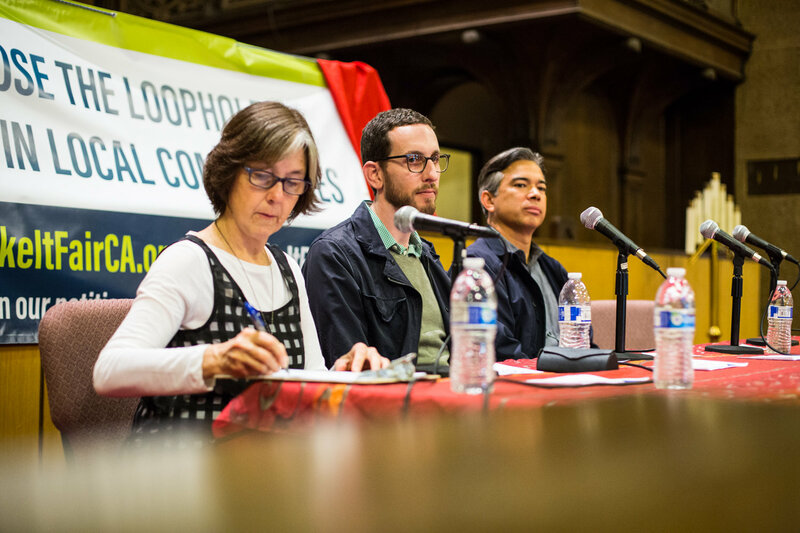 Last Saturday morning over 300 community members, local organizations and elected officials convened at a packed Town Hall in Oakland calling for reform to Prop 13’s commercial property loophole. 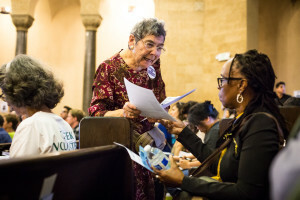 The event, organized by the Make it Fair Coalition, called for a reform that would assess commercial real estate at its full and current market value, while keeping Proposition 13 for residential real estate. 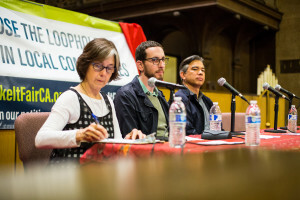 At the event, State Senator Nancy Skinner, State Senator Scott Weiner, and Assemblyman Rob Bonta spoke about the need to reform Proposition 13’s commercial property tax loophole, which currently deprives California of over $9 billion per year in revenue. Richmond City Councilmember Melvin Willis and Alameda Board of Supervisors Member Keith Carson also spoke to the impact that the $369 million in annual revenue to Alameda County would have on local schools and critical services. “Prop 13 has been at the center of damage, where California has gone from one of the best school systems to one of the lowest” said State Senator Scott Wiener illuminating one of the most significant impacts of decades of disinvestment due to the proposition. The town hall meeting was hosted by Evolve, League of Women Voters, Policy Link, Oakland Rising, ACCE, SEIU CA, CFT, CTA and California Calls. Participants signed up to collect petitions in support of Make It Fair and recruit organizational and small business endorsers. 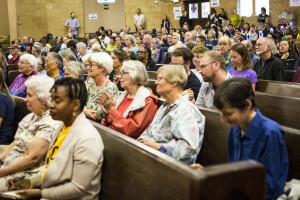 The energy was electric in the room, with many declaring excitement about the growing movement to finally tackle what is seen as the third rail of California politics. So far, nearly 100,000 people have signed petitions supporting the reform of the Prop 13 commercial loophole. You can watch a recording of the town hall here. Six town halls are scheduled for September and October in communities across the state. 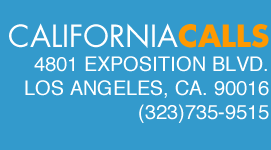 The next two town hall meetings are on September 30th in San Bernardino and October 7th in Los Angeles. The Trump Administration’s plan to cut $2 trillion in taxes for the wealthy and multi-national corporations, vastly increase the military budget, and slash safety net, housing assistance and even Meals on Wheels is frightening and unconscionable. These “Robin-Hood-in-Reverse” policies—along with the ongoing efforts to dismantle the ACA—will present California with a massive deficit challenge. 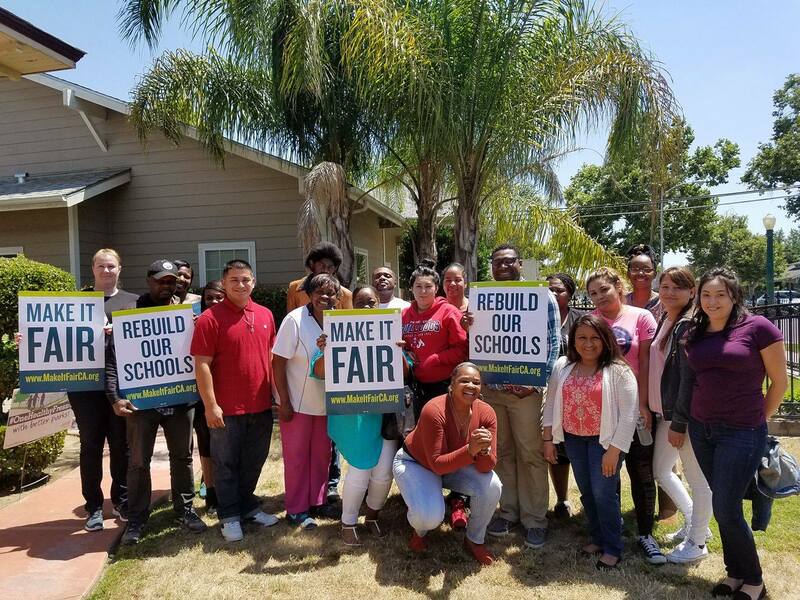 Recent polling reflects deep concerns about cuts to education and health care —and shows higher voter approval for Prop 13 reform compared to a 2015 poll by the Public Policy Institute of California. New research with 2016 data by USC demonstrates a significant increase of billions of dollars over the previously-projected $9 billion, due to rising commercial real estate values. California Calls’ May 2017 Civic Engagement Program, which contacted over 82,000 voters, found the highest levels of support compared to any previous voter survey. A full 84.9% expressed support for closing the corporate property tax loophole to help defend California against Trump’s budget ax. 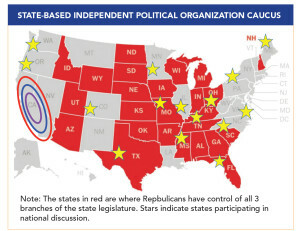 Over 75% of contacted voters also stated they were ready to take action to help reform Prop 13. 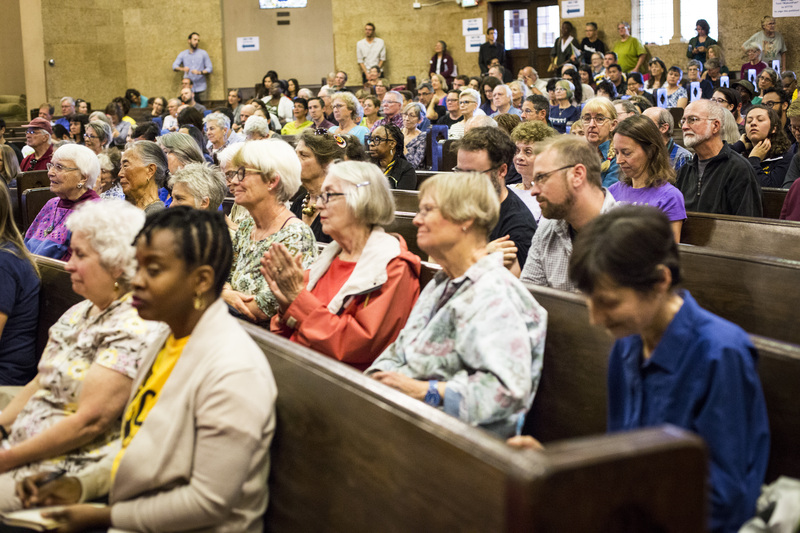 A series of Town Halls—in Los Angeles, Oakland, San Diego, San Bernardino and Bakersfield—are planned for the Fall to build public awareness and to secure the commitments of local, regional and state elected leaders. Media outreach has launched—with OpEds in the Fresno Bee, the San Bernardino Sun and the San Diego Union Tribune —with many more in the pipeline for regional outlets. Senators Nancy Skinner and Holly Mitchell have agreed to co-sponsor a Senate Constitutional Amendment, with detailed policy provisions, already approved by Legislative Counsel for a future legislative strategy. The time is now to MAKE IT FAIR. Click here to join the campaign.